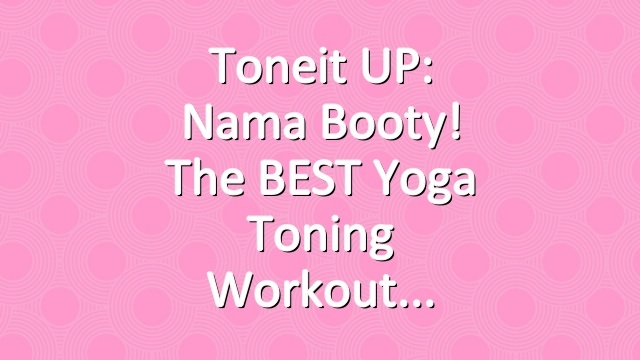 Join us at http://ToneItUp.com/?p=324797 to kick some nama booty! Today’s Nama Booty workout is one of our faves of the Summer Tone Up. Your Studio Tone It Up trainer Chevy will take you through an empowering yoga sculpting routine that refreshes your mind and tones your beautiful booty. You can use light weights as you go through your flow for an added challenge. The most important thing is to listen to your body, so if you want to flow without your weights go ahead girl! NextWhat are the best resistance bands? Six Pack Shortcuts: Six Pack Shortcuts is now SIXPACKABS.COM – Train Smart!